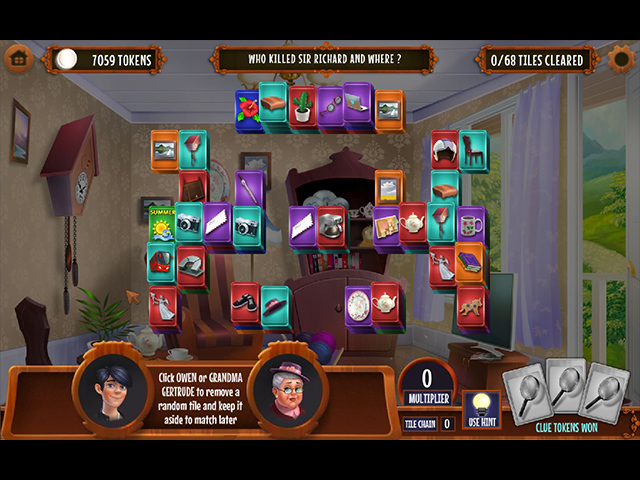 Grandma Gertrude and ace reporter Owen are the 'GO' team. They love solving crimes especially when the police don't have a clue. 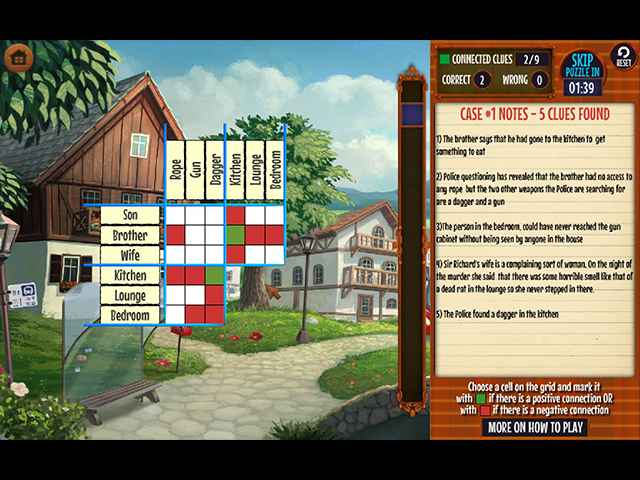 Gather important clues while you play solitaire and match tiles in mahjong. Need more of a challenge? The clues don't make any sense unless they are connected together. Play this challenging puzzle game to reveal what really happened and help the police catch the culprit. 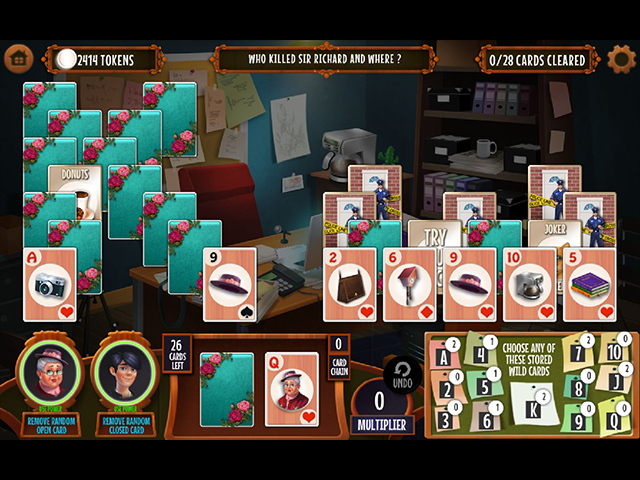 If you like GO Team Investigates: Solitaire and Mahjong Mysteries game, click to start GO Team Investigates: Solitaire and Mahjong Mysteries download. 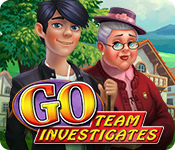 Sign-up to get informed when the GO Team Investigates series has new game released with BD Studio Games' FREE bi-weekly newsletter.